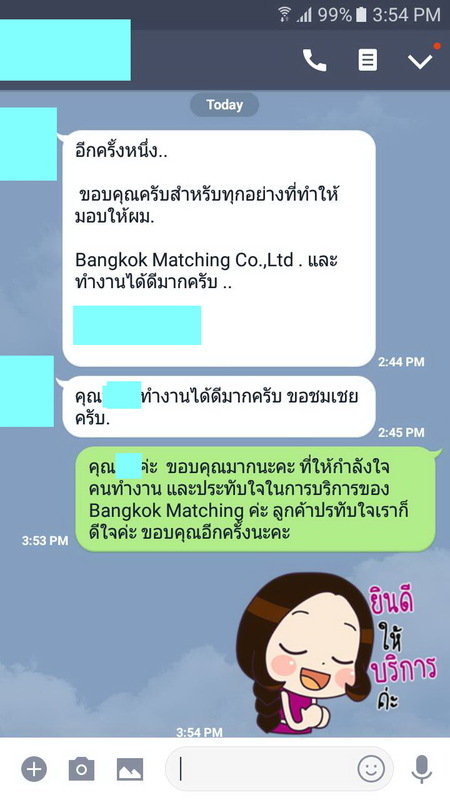 Customer Review from our Thai Dating Male Client "I am very impressed with Bangkok Matching's Matchmaking Service and my matchmaker". My matchmaker does a very good job, taking care of me very well. Thank you for all the work you have done for me so far.